This experimental Rolex watch was attached to the bathyscaphe Trieste when it reached the ocean floor in the Challenger Deep, on 23 January 1960. Image: ANMM. On loan from the Smithsonian Institution. Peering through the small porthole, Lt Don Walsh USN saw a cloud of floating silt. It had been kicked up by the bathyscaphe’s less than gentle landing, 10,916 metres below the surface of the ocean. Walsh and fellow pilot Jacques Piccard hoped the milky white soup would clear quickly so they could take photos of what lay beyond. Outside the porthole, the experimental Rolex ‘Deep Sea Special’ wristwatch was attached to the outside of the bathyscaphe. The unusual high glass dome of the timepiece protected the face of the watch as it continued to tick away, keeping time even under immense pressure. Twenty minutes later, the thick fog persisted, drifting in slow motion. Reluctantly, Don and Jacques decided to begin their ascent. It took three hours for the Trieste to return to the surface, completing a record-breaking journey: Don and Jacques were the first humans to reach the deepest part of the ocean, the Challenger Deep in the Mariana Trench. In March 2012 Don Walsh returned to the site of his record-breaking dive as a member of James Cameron’s DEEPSEA CHALLENGE expedition. Walsh watched as Cameron climbed into the pilot sphere of the DEEPSEA CHALLENGER submersible and piloted it to a maximum depth of 10,908 metres. 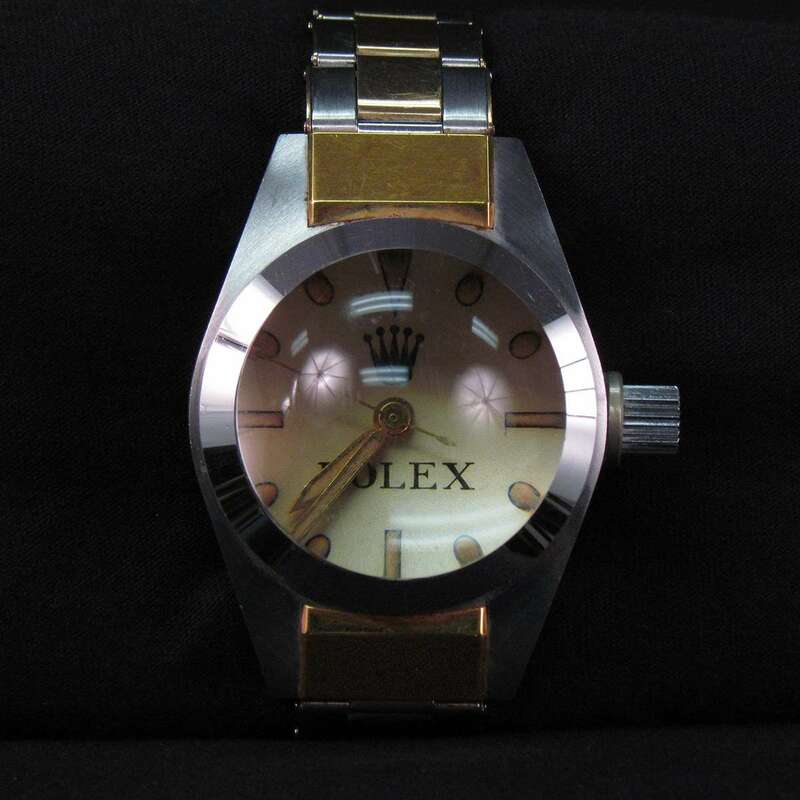 Another experimental Rolex wristwatch was attached to the outside of DEEPSEA CHALLENGER. The watch sat on a robotic arm used by Cameron to collect water, sediment and rock samples as he traversed more than a kilometre across the floor of the ocean. 42 years later, another experimental Rolex wristwatch as once again attached to the outside of a vessel during an exploration of the Challenger Deep. The Rolex DEEPSEA CHALLENGE watch can be seen in the upper right corner of this photograph. Image: Mark Thiessen/NatGeoCreative. Filmmaker and explorer James Cameron frequently cites Don’s phrase ‘Exploration is curiosity acted upon’ among his favourite quotes. It was a key inspiration for his own desire to explore the Challenger Deep. 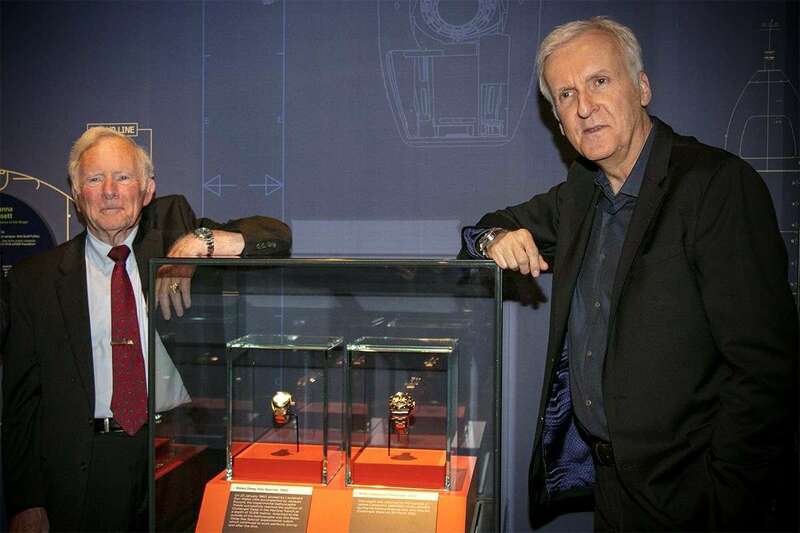 Don Walsh and James Cameron with their experimental Rolex watches which are a testament to the engineering challenges faced by humanity to reach the deepest part of the ocean. You can see both Rolex watches in the James Cameron: Challenging the Deep exhibition. Image: Andrew Frolows/ANMM. On loan from the Smithsonian Institution and Rolex SA. Don’s business card reads ‘Captain US Navy – retired’. He can be described as many things: an explorer, oceanographer, marine engineer and researcher. He has commanded submarines and in 2010 was awarded National Geographic’s Hubbard Medal, joining the likes of Amundsen, Shackleton, the Lindberghs and Leakies in the pantheon of explorers, discoverers and researchers. But when pushed calls himself ‘an Olympic qualified daydreamer’. Don’s one regret in life is that he never went to space, but he says ‘that’s ok, I’m saving it for the next life’. Given that NASA didn’t exist at the time, the US Navy offered Don the opportunity to go places nobody had been before. 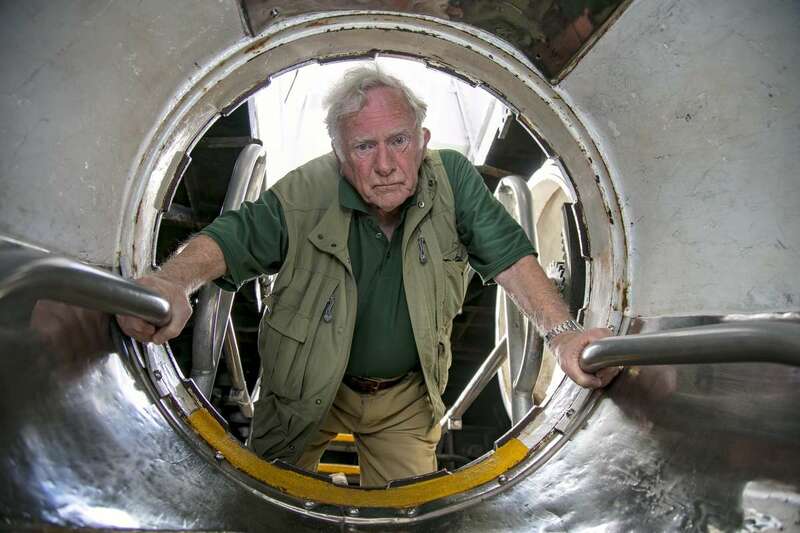 After several years as a submariner, Don volunteered for Project Nekton because ‘I didn’t have much to lose.’ He was the only volunteer out of a class of 70 and the bathyscaphe Trieste was his first command. The Trieste was acquired by the US Navy for Project Nekton. Image: Courtesy Don Walsh. Project Nekton was the codename for the series of test dives which took place between 1958 and 1960, attempting to send a man to the bottom of the sea. It was the age of the space race and the Cold War, and the US Navy was determined to be the first to reach the deepest surveyed point of the ocean. 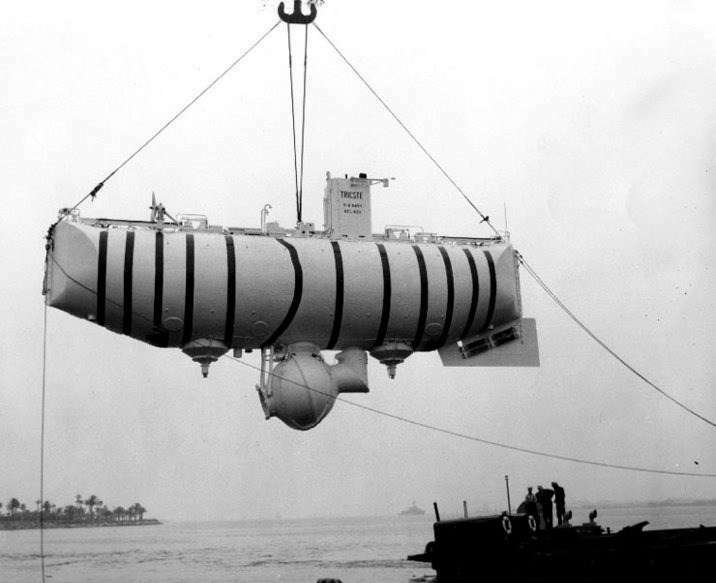 The bathyscaphe Trieste was purchased by the US Navy. Jacques Piccard (son of August Piccard, Trieste’s designer) was engaged as a technical consultant. He co-piloted the vessel with Walsh. 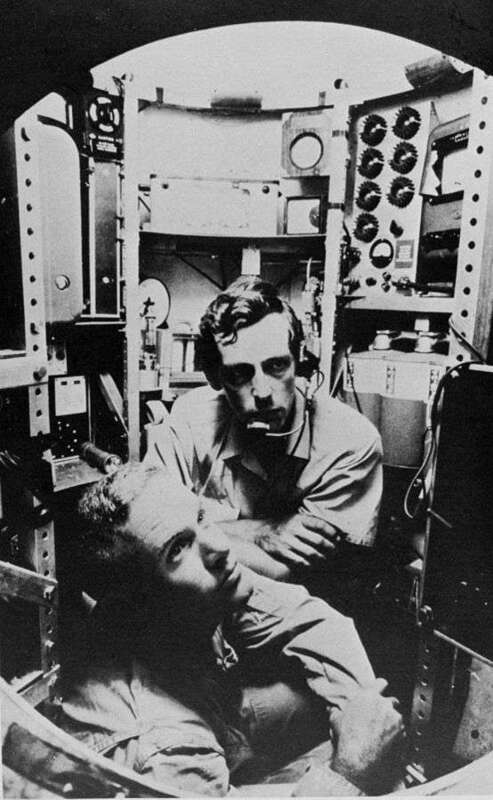 Lieutenant Don Walsh (foreground) and Jacques Piccard in the bathyscaphe Trieste. Image: Courtesy Don Walsh/NOAA Ship Collection. The project was conducted in secret for three and half years. Project Nekton was only made public knowledge after the successful mission to the Challenger Deep. Don jokes that lieutenants were considered disposable, so the team were largely left to their own devices. In November 1958, the Trieste successfully dived to 100 metres. The following April, the team reached 1,300 metres. Just 14 months later, they touched the bottom of Challenger Deep (10,916 metres), the underwater equivalent of landing on the moon. But Project Nekton was not an exercise in thrill-seeking. In fact, when asked whether he was ever scared during these dives, Don has another insightful quote: ‘Don’t be scared, be prepared. Being scared reduces your ability to react. It’s a skill to luck ratio – you want more skill than luck’. Each one of the Trieste‘s dives was an opportunity for the pilots to familiarise themselves with the feel and noises of the bathyscaphe. 9,906 metres into their descent to the Challenger Deep, a loud bang shook the vessel. Don wasn’t rattled by the sound – if something catastrophic had occurred, he and Jacques would be dead in seconds as the pilot sphere imploded. They were still alive, they were safe. They realised when they were on the seafloor, waiting for the milky view to settle, what had caused the commotion: one of the outer plexiglass windows failed under pressure. It was slowly leaking. They needed to resurface as soon as possible. 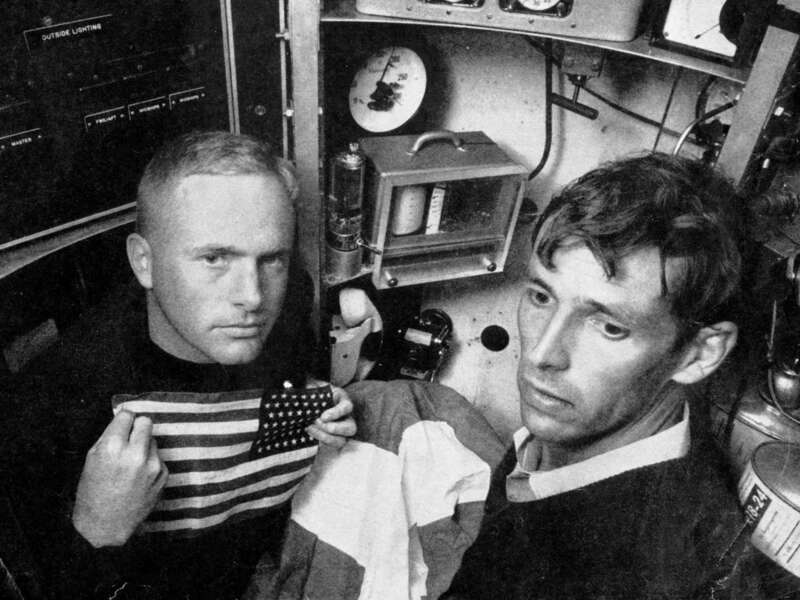 Lieutenant Don Walsh (left) and Jacques Piccard in the bathyscaphe. Image: Courtesy Don Walsh/NOAA Ship Collection. Jacques and Don saw a flatfish as they peered out of their porthole. When James Cameron followed in their footsteps 42 years later, he collected samples of 68 new species of microbes, some tiny amphipods and geological specimens. These samples have been distributed to scientific research organisations to study. Don is still exploring the ocean as a consultant and writer. He has advised NASA oceanographers on how to remotely measure ocean temperatures and currents. Don has explored the wreck of the Bismarck. He regularly goes to sea and hopes to encourage a new age of deep ocean exploration, imploring young science lovers to ‘go to sea – there’s so much to be discovered’. Don Walsh implores young science lovers to ‘go to sea – there’s so much to be discovered’. Image: Andrew Frolows/ANMM. When asked about the future of deep sea exploration, Don is excited about the possibilities of robotics and drones (both underwater and aviation). Developments in these technologies will do the heavy lifting in future research expeditions. Automated Remotely Operated Vehicles (ROVs) can currently reach depths of 6,000m. This might only be half-way to the Challenger Deep but it covers 98% of ocean depths and allows contact with an estimated 90% of sea life. But the age of ROVs exploration begs the question: How many more people will have the chance to reach the mysterious depths of the Challenger Deep in person? Budgets, safety concerns and engineering favour ROVs but there is that innate curiosity to go, to see and (most importantly) to tell the story. As Don says, ‘Motivated people are to marvellous machines, the power of 10 to 1.’ And as James Cameron concurs, ‘The human eye has to see’. — Kate Pentecost, Digital Curator. 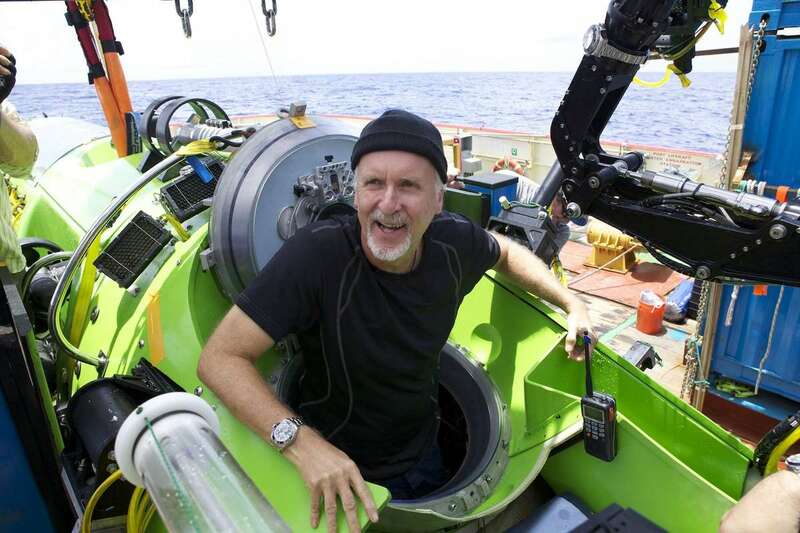 James Cameron – Challenging the Deep is on now. Kate Pentecost is the Digital Curator at the Australian National Maritime Museum.